GiliSoft provides encryption and privacy tools and solutions for individuals, organizations, and businesses large and small. Customers that take advantage of these encryption and privacy solutions can use them on Windows and OS X devices as well as Android and iOS mobile devices. 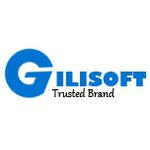 Individual encryption and privacy tools are available to help secure and protect files and devices, but software suites including a handful of or all of the solutions available from GiliSoft can be purchased at a substantial discount. Free software downloads of basic versions of these tools are available as well, and free trials of the premium level software from this company can be downloaded and used for 14 days before purchasing a license.